I received a load of teacups a saucers from my aunt after her move. She asked if I could do anything with them and below is the result. 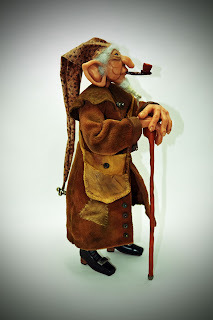 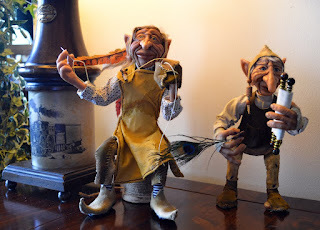 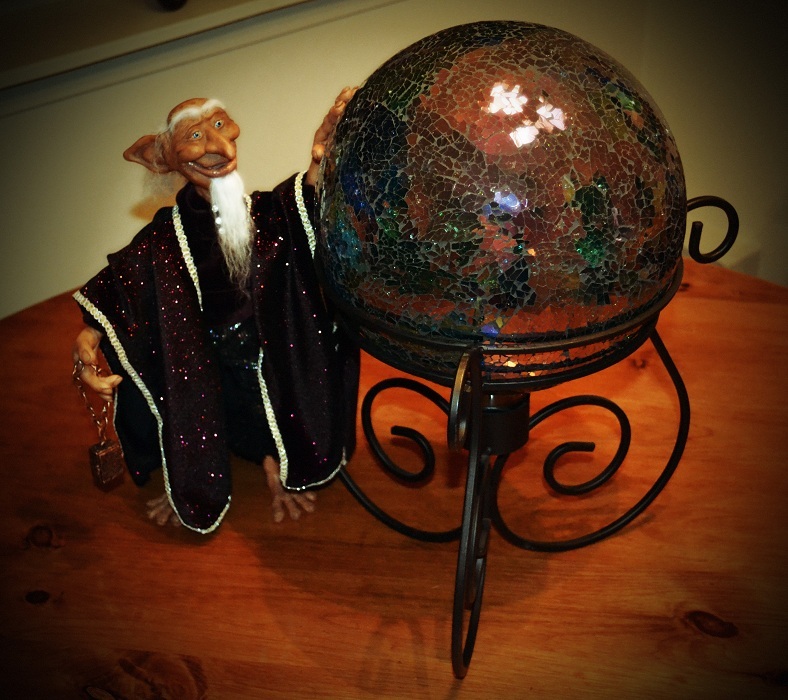 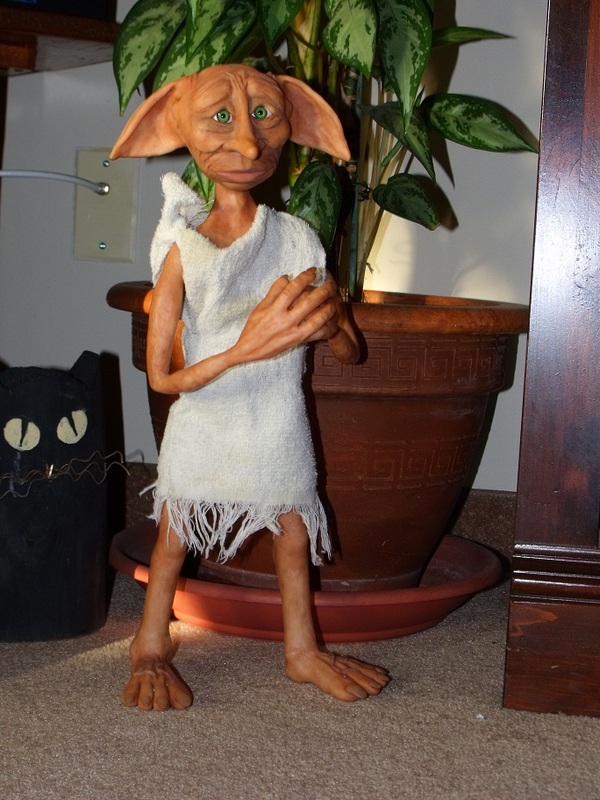 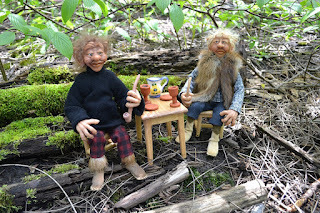 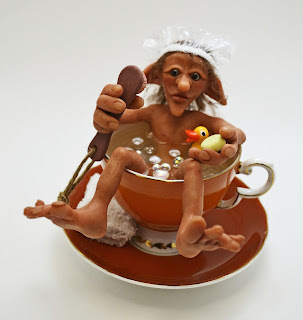 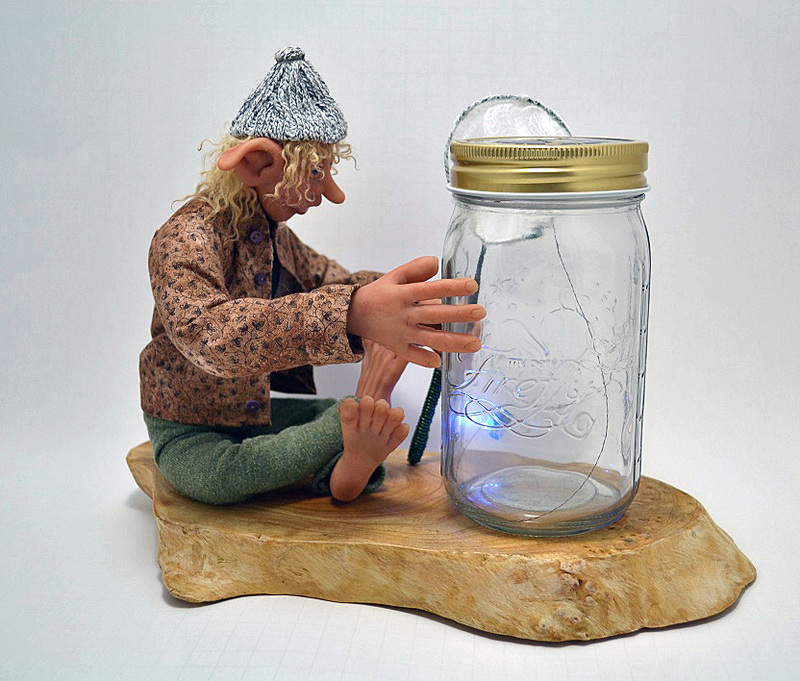 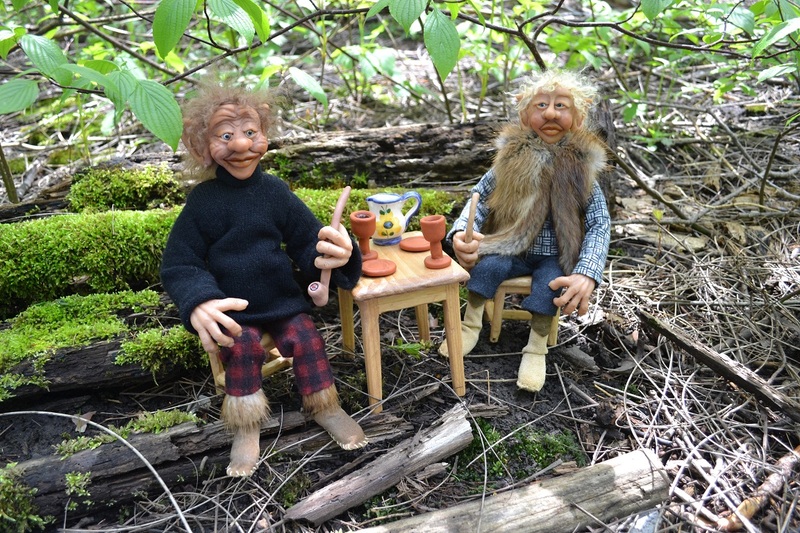 The elves are a full body sculpt in polymer clay and then set in the china cup with resin. 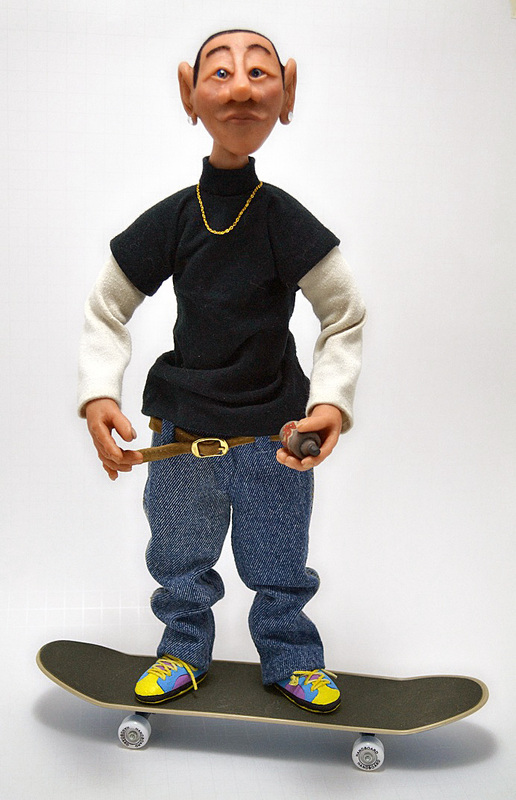 The rubber duck, brush and bar of soap are sculpted with coloured polymer clay. 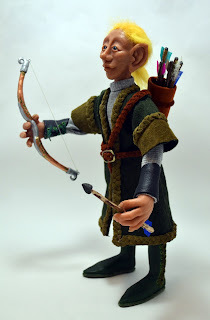 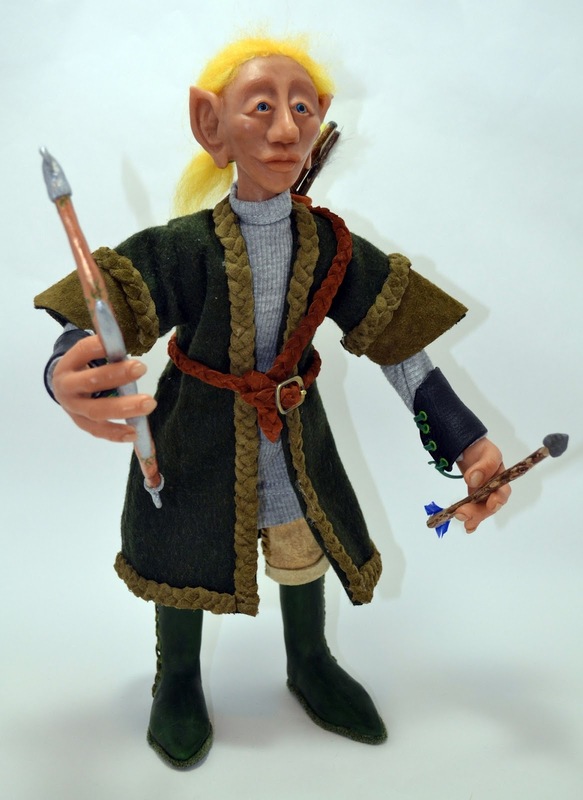 Artie is the newest member of the Woodland Elf collection. 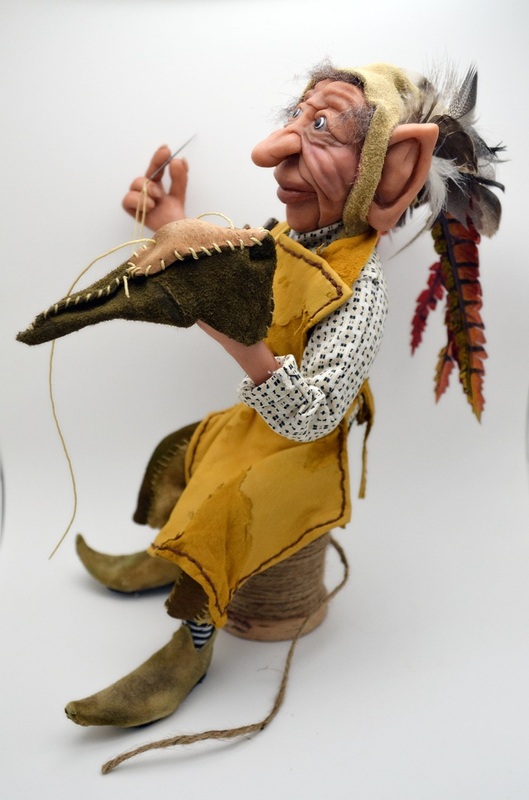 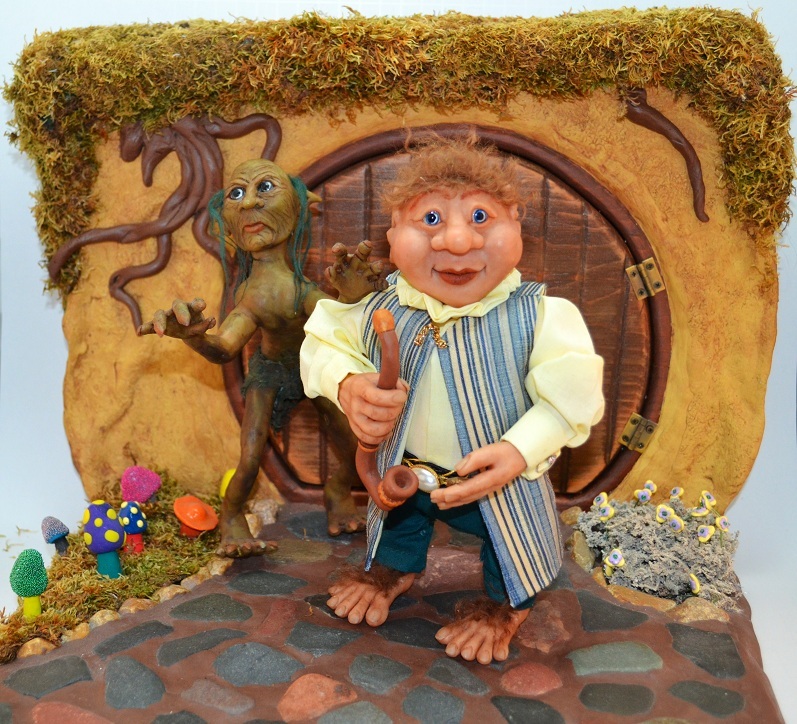 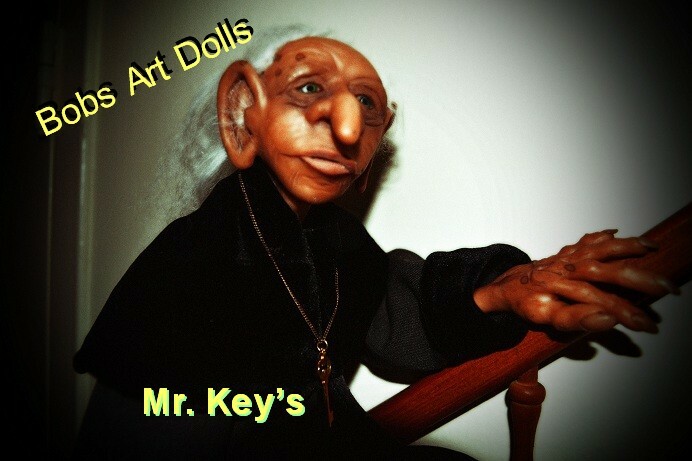 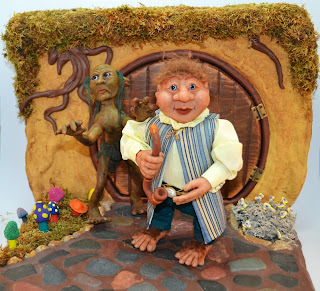 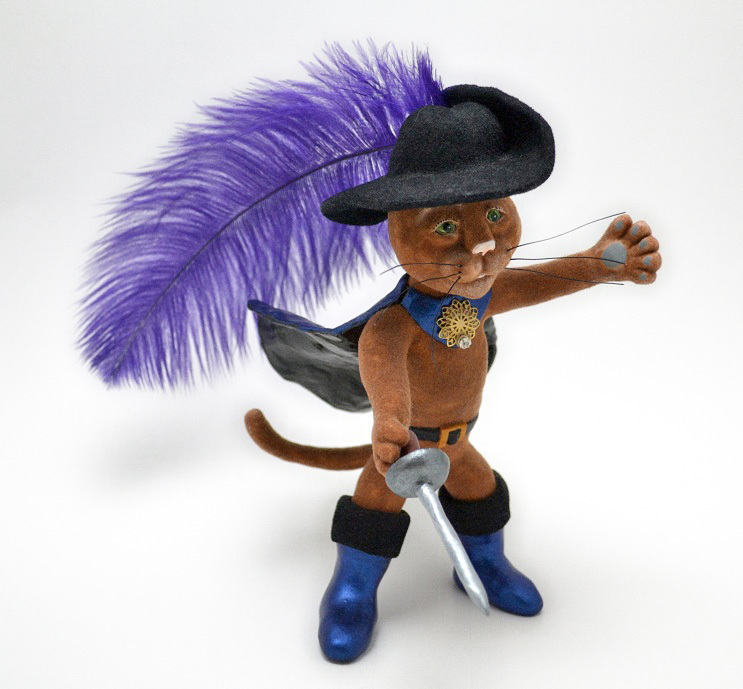 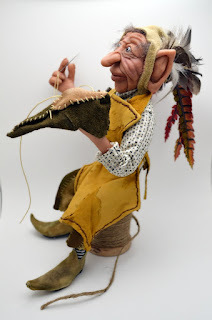 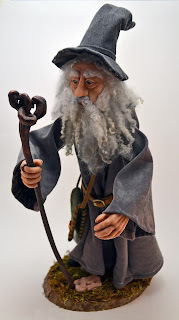 His head, hands and boots are hand sculpted in polymer clay. 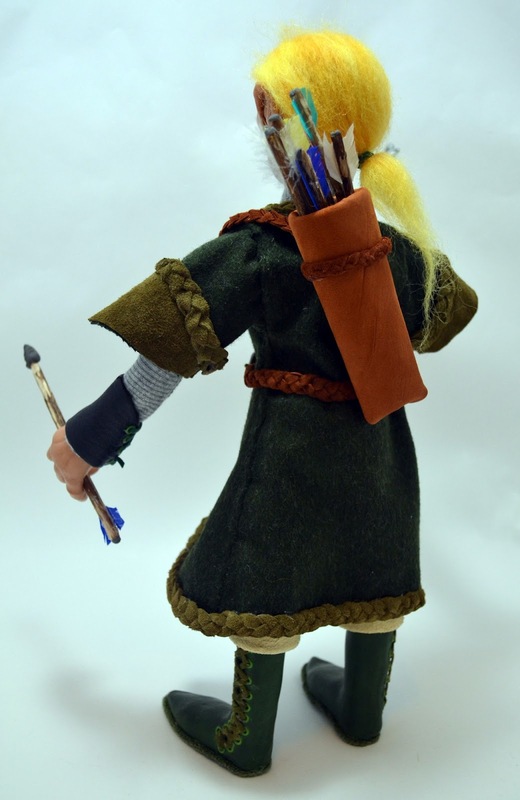 The bow is also polymer clay and the arrow's are from local branches with polymer arrow heads. 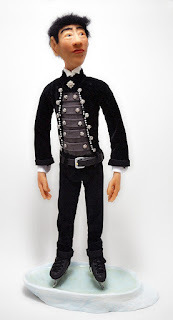 He is costumed in cloth and leather. 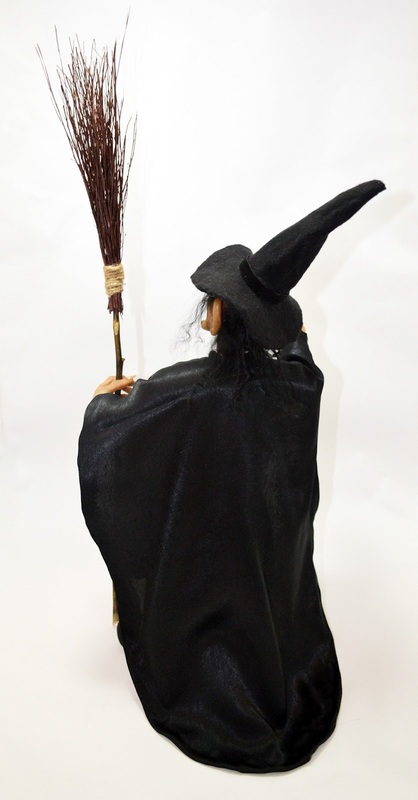 Hilda was made for Halloween. 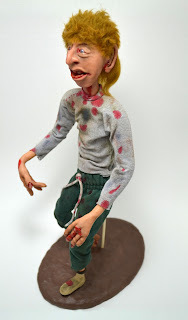 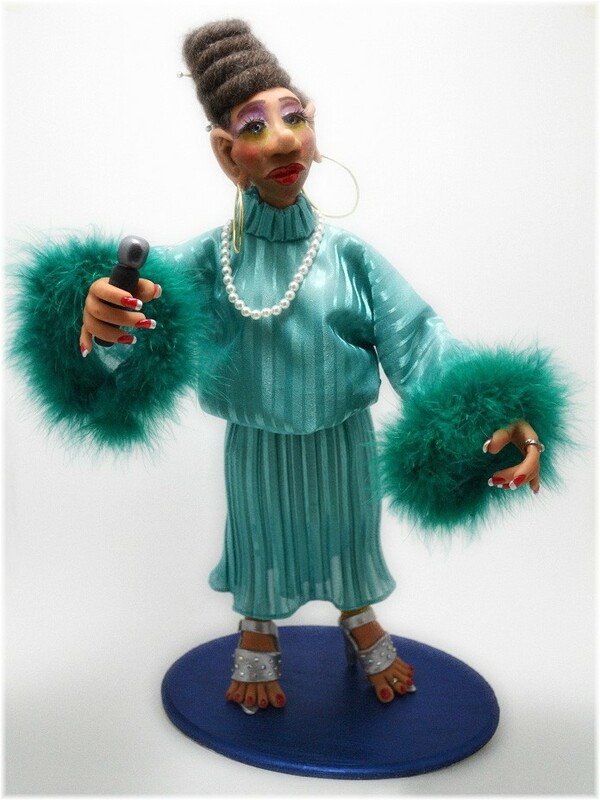 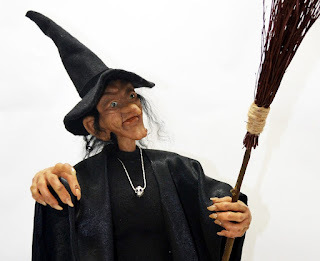 Her head, hands and shoes are hand sculpted in polymer clay. The costume is hand made and tailored right to the body of the doll. 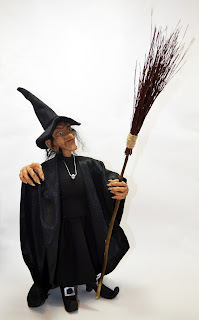 The broom was mad of ole twigs and a dried rose stem. Fork-in-fairies are from the far away land ofCutleryBin.They have been groomed for many many years to serve Royalty in accepting the blame for all of the Royals indiscretions. 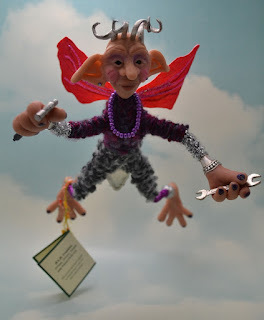 Now the Fork-in-fairy is available to serve you.Benefit from your Fork-in-fairy and the freedom they create as you will never have to take the blame for anything again. 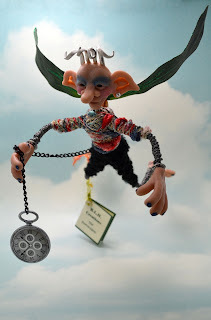 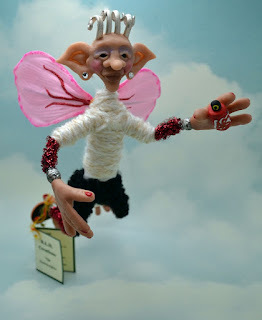 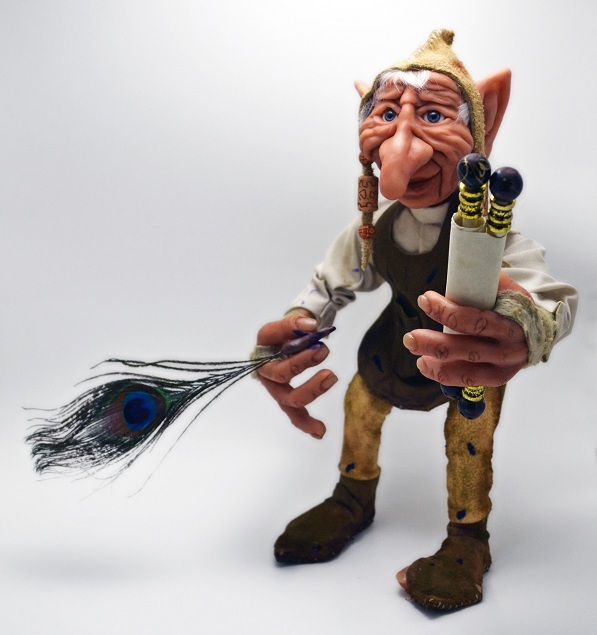 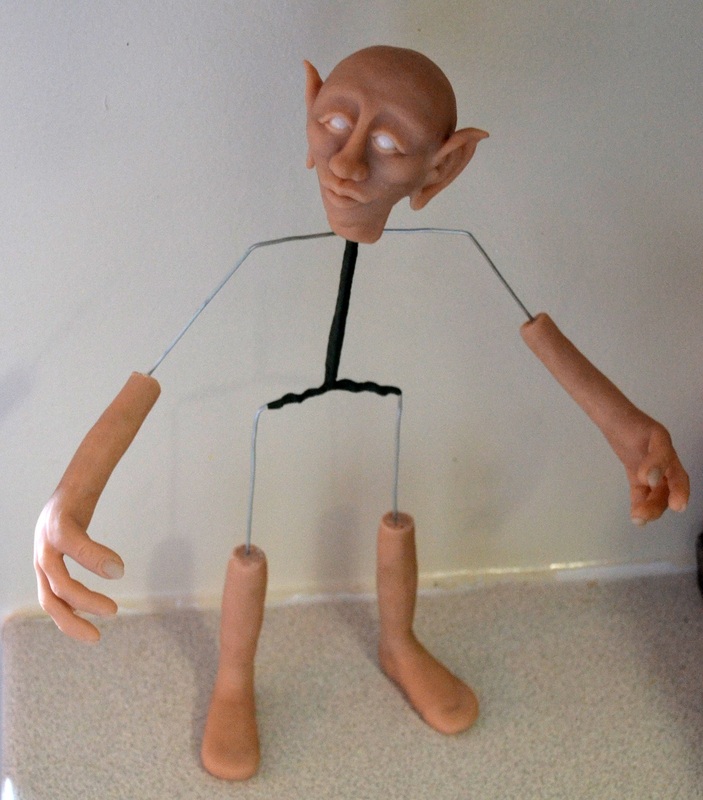 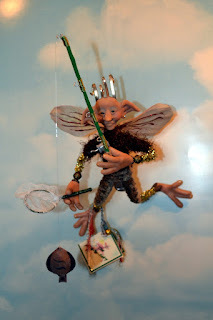 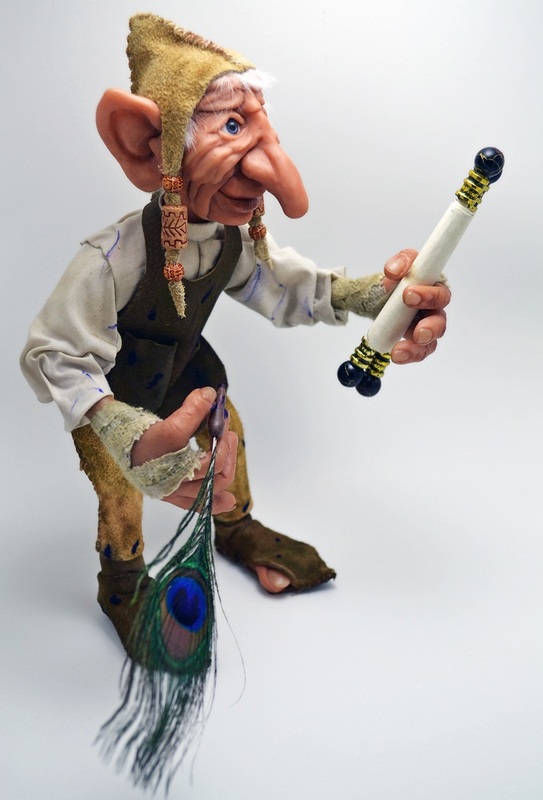 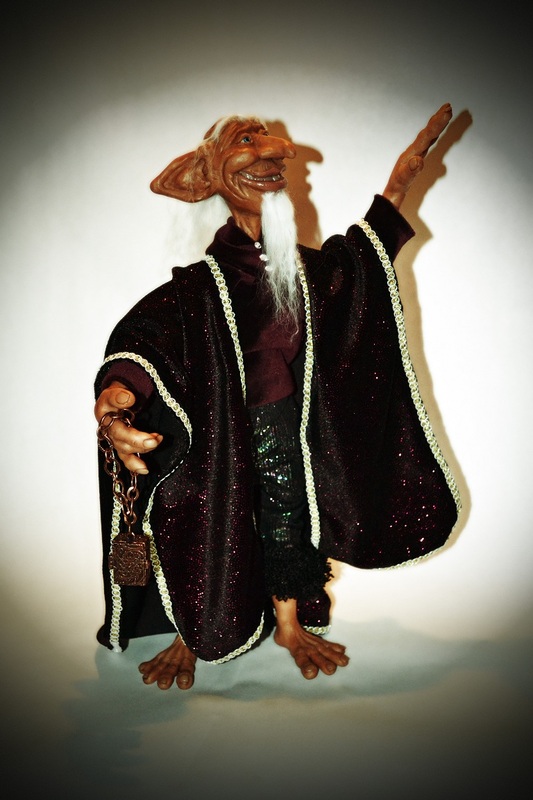 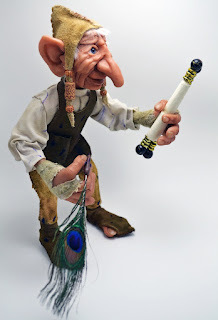 The Fork-in-fairy© is created out of a silver plated fork and hand sculpted with polymer clay. 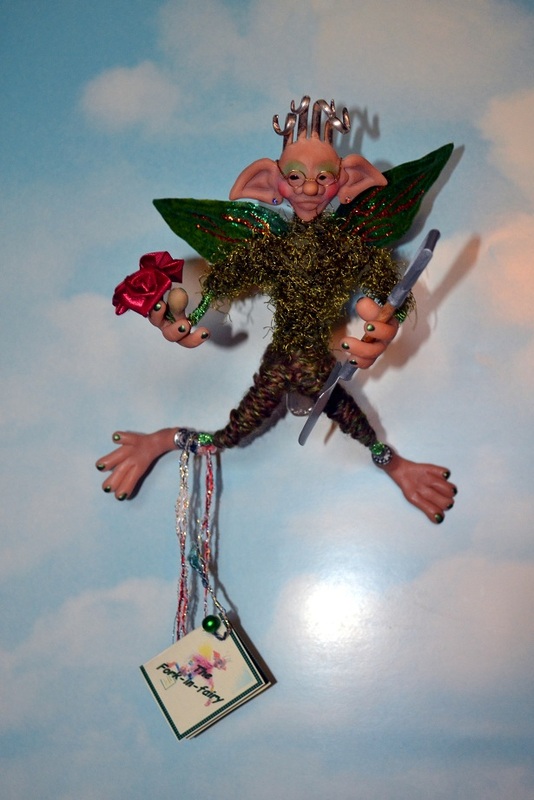 All fairies are a one of a kind creation. 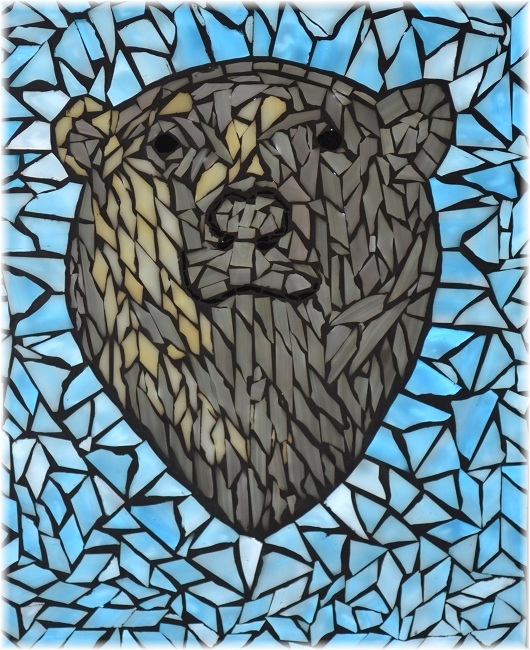 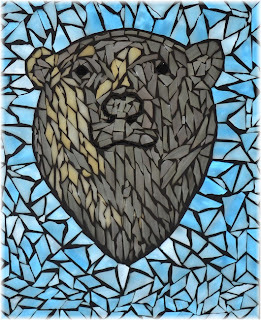 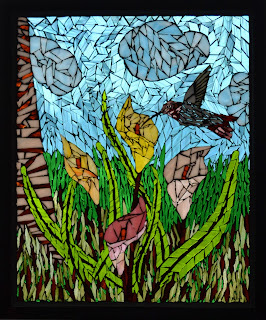 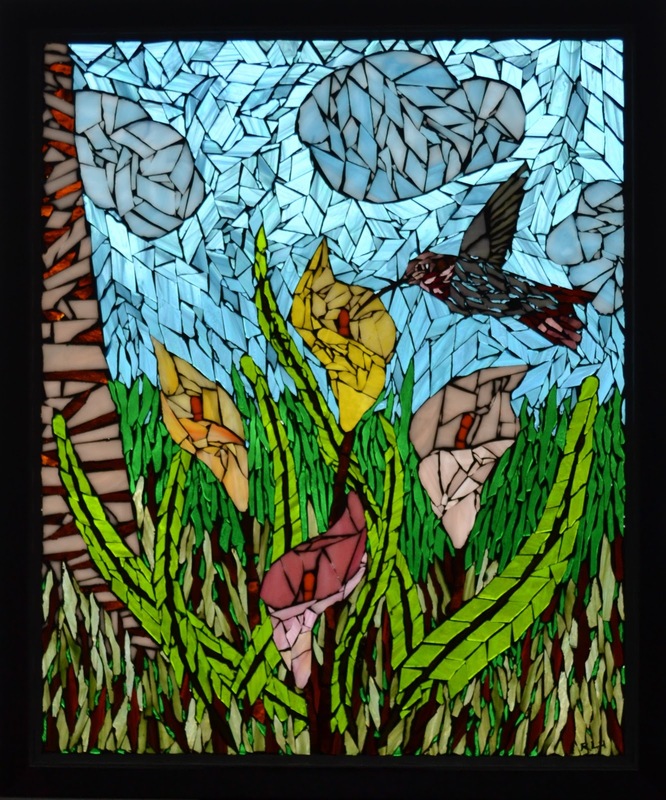 One of my new interests is mosaic stain glass.